Email medinahockey@gmail.com if you'd like to support Medina Hockey and see your business advertise here. Medina Hockey Club is a sanctioned USA Hockey High School Varsity program playing in the North Coast High School Hockey League. 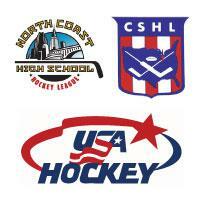 The NCHSHL, a division of the Cleveland Suburban Hockey League, is comprised of 10 USA Hockey high school hockey teams. The league provides players grade 9-12 the opportunity to play at the high school level competing against OHSAA Varsity teams and other USA Hockey registered high school teams. The NCHSHL plays for the USA Hockey Ohio High School State Championship competing against teams from the Ohio Scholatic Hockey League and the Cincinnati High School Hockey League. The Buckeye Cup champion earns a bid to the USA Hockey Varsity High School National Tournament. The Medina Hockey Club is proud to partner with Russ Sinkewich and the Ohio Hockey Project to further its commitment to player skill development. Working with the Project creates a unique opportunity for Medina players to learn from professional players and further their development as student-athletes. Both the Medina Hockey Club and the Ohio Hockey Project are committed to bringing Northeast Ohio area high school players together and transforming Cleveland hockey. For additional information on Summer Development Leagues or Training Camps visit the Ohio Hockey Project. The Medina Hockey Club works with the Ohio Hockey Project and it's Futures Hockey League for off season hockey opportunities. Medina encourages all of it's players to participate in off season, on-ice and off-ice, training. Click here for more information on the Futures Hockey League. The Medina Hockey Club offers a fun and competitive pre-post hockey team to Medina Hockey players as well as open to area high school players from any team. The Swarm participates in local and travel tournaments before and after the high school season. Click here to go the Swarm team page.